I worked as a reporter at the Leduc Rep weekly newspaper from the start of June until the end of August 2017. The newsroom was small, but my audience was engaged. My writing and photography also served several municipalities, appearing in the Devon Dispatch, Beaumont News and several other small papers. I was worked to the bone, but I learned a lot in the process. Here are some of my favourite stories from the internship. Kevin Pennyfeather/Rep staff Brielle Johnson, a lifeguard/instructor at Alexandra Outdoor Pool, calmly waited in the rain before the annual Lifeguards vs. Public water gun showdown on July 11. 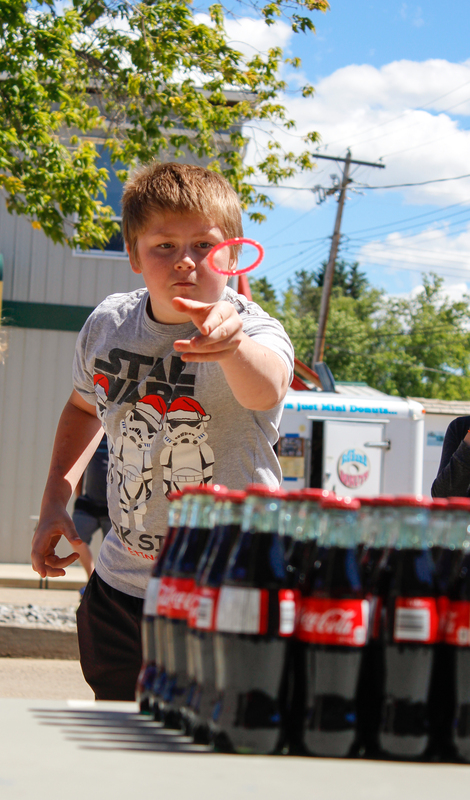 Kevin Pennyfeather Rep Staff Brayden MacLellan aced the soda pop ring toss game at the first annual Thorsby Thunder Days Festival on June 17. 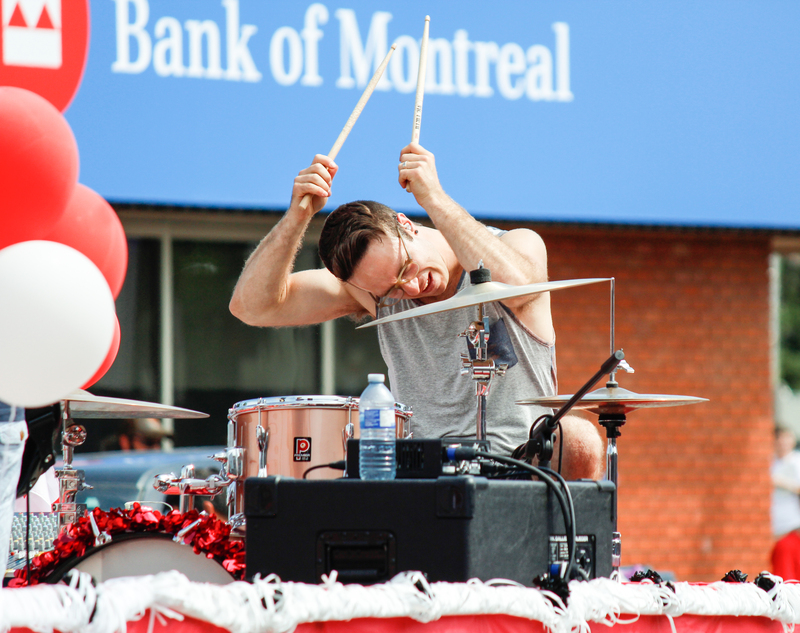 The festival celebrated Thorsby’s new designation as a town and Canada’s 150th birthday. 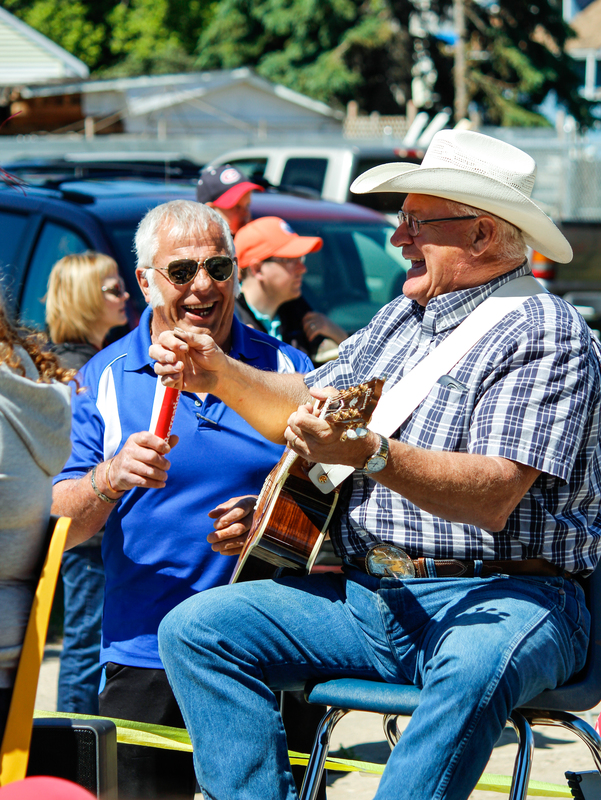 Kevin Pennyfeather Rep Staff Dwayne Harrison (right) performed classic tunes like “When my Blue Moon Turns to Gold Again” at the Thorsby Thunder Days Festival on June 17. The inaugural annual festival celebrated Thorsby’s new designation as a town and Canada’s 150th birthday. Kevin Pennyfeather/Rep staff The new Telford Lake Boardwalk’s north extension officially opened on June 29. 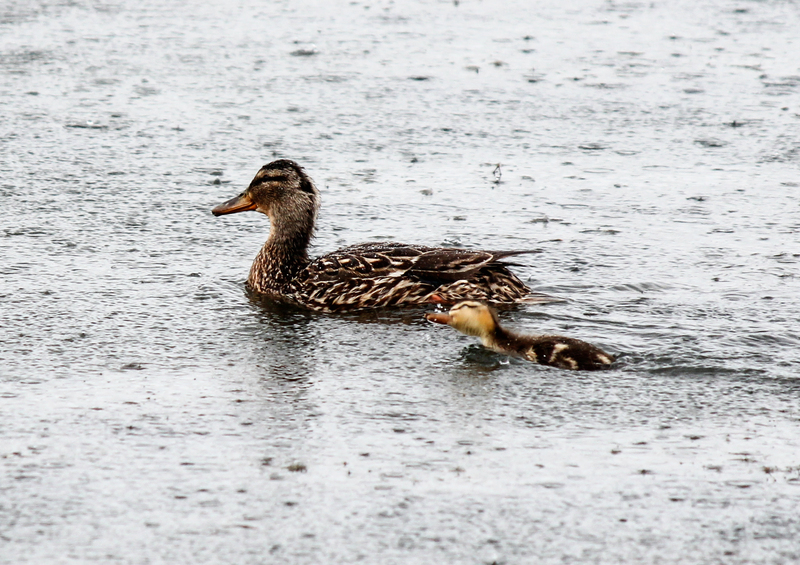 Now students and scientest can conduct research with less disruption to the local wildlife. 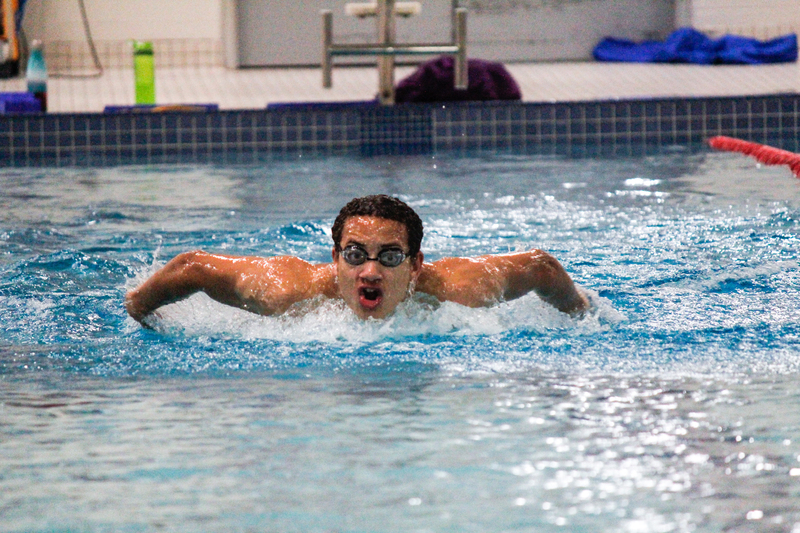 Kevin Pennyfeather/Rep staff Sterling Blair, 15, trained at the Beaumont Aqua-Fit Centre on August 1 in preparation for his four events at the 50th Canada Summer Games in Winnipeg on August 5. The butterfly stroke specialist will compete with Swim Alberta in a bid to dominate the national podiums. Kevin Pennyfeather/Rep staff A fire tore through an empty parish office house next to Saint Vital Church in Beaumont on July 29. 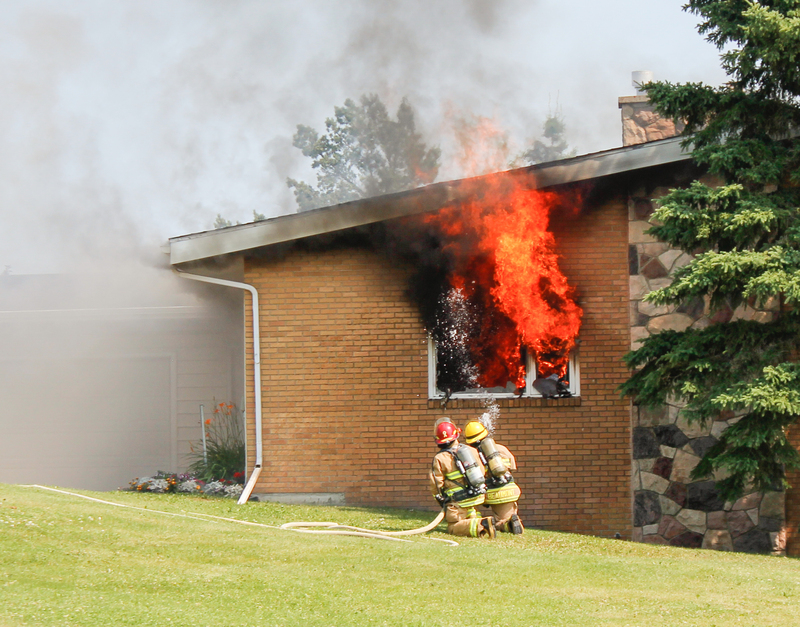 Fire fighters from the Beaumont and Leduc County Fire Departments worked to put out the blaze and secure the building after wedding-goers in the church called 911. Kevin Pennyfeather Rep Staff The provincial government approved designs for a new 65th Avenue/QEII interchange on June 9 at the Leduc Visitor Information Centre. MLA Lorne Dach, Coun. 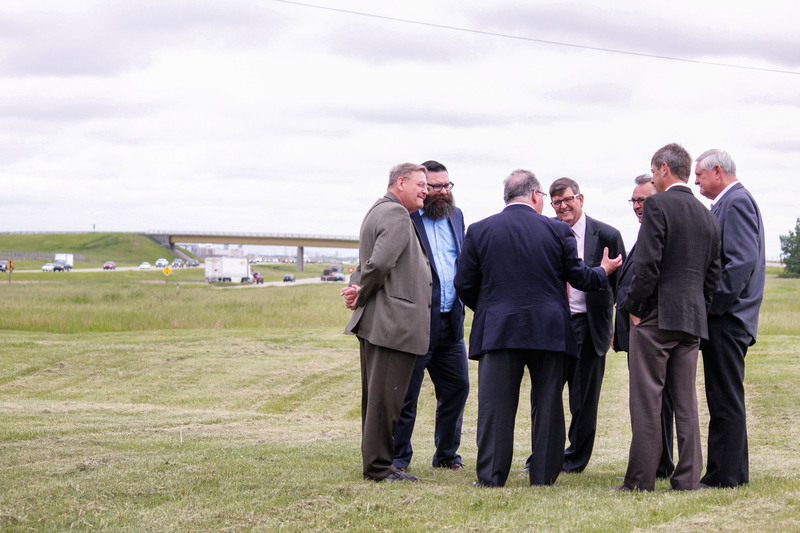 David Mackenzie, MLA Shaye Anderson, Transportation and Infrastructure Minister Brian Mason, Edmonton International Airport President and CEO Tom Ruth, Mayor Greg Krischke, and Coun. Glen Finstad celebrated the announcement next to the highway. Kevin Pennyfeather/Rep staff More than 75 dogs and their owners pranced around the Devon Dog Park on July 29 as part of Riverview Veterinary Clinic’s first annual Pups in the Park event. Dogs like (l-r) Miska, Koda, Jaxson and Teddie played in pools filled by the town and enjoyed treats brought by event organizers. Kevin Pennyfeather/Rep staff More than 75 dogs and their owners pranced around the Devon Dog Park on July 29 as part of Riverview Veterinary Clinic’s first annual Pups in the Park event. 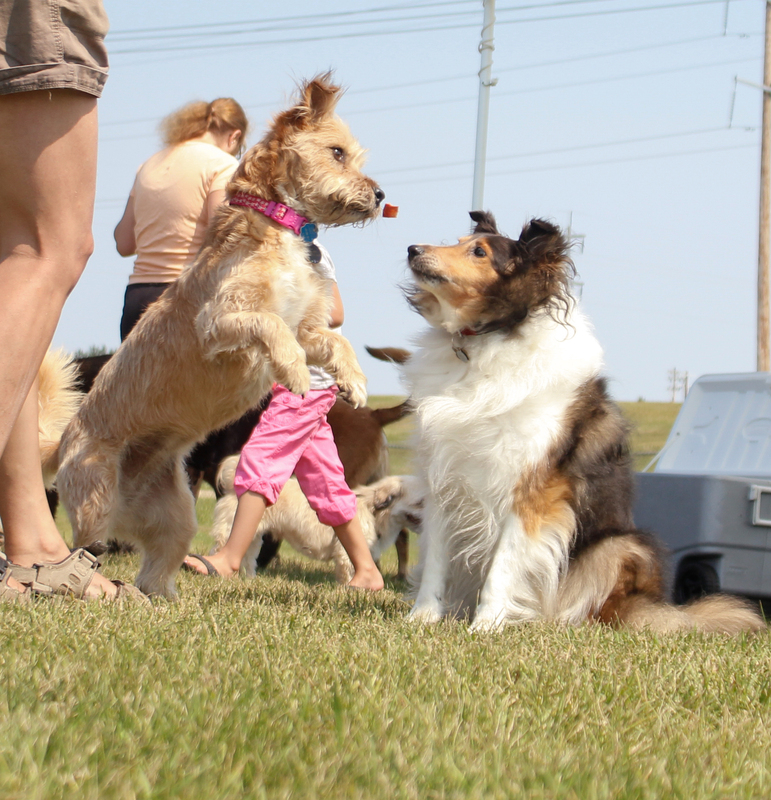 The town filled pools with water, and Shelties like 4-year-old Teek (right) enjoyed treats in exchange for tricks. 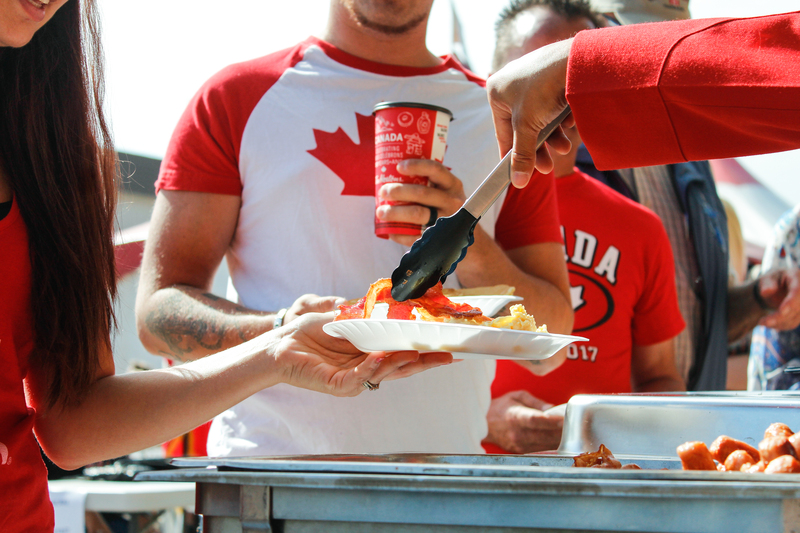 Kevin Pennyfeather/Rep staff More than 200 people lined up to enjoy a pancake breakfast outside the Royal Canadian Legion in Leduc on Canada Day. 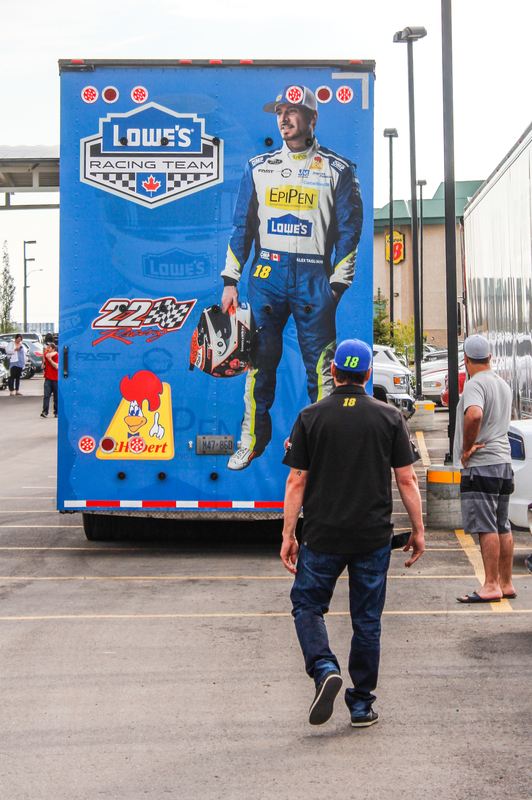 Kevin Pennyfeather/Rep staff NASCAR Pinty’s Series driver Alex Tagliani held a meet and greet for race fans at the Wyndham Garden Edmonton Airport Hotel on July 28. 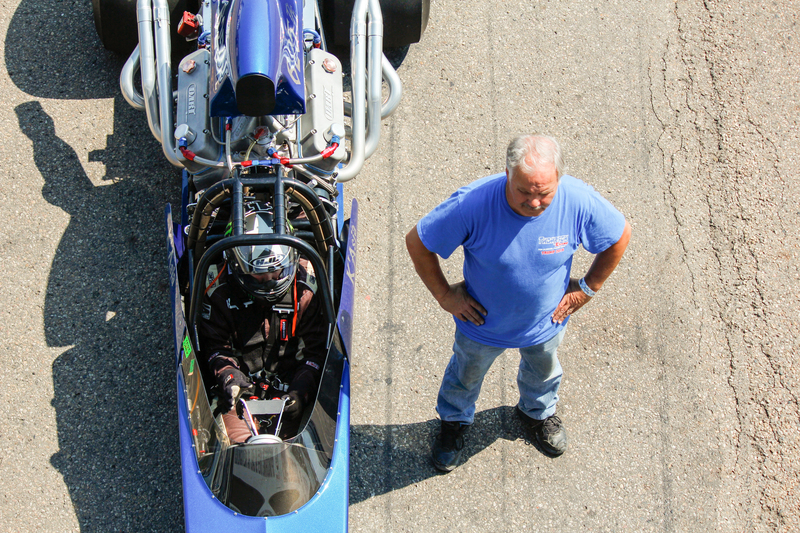 He unloaded his stock car and set up a fastest tire-changing station for fans to try out. 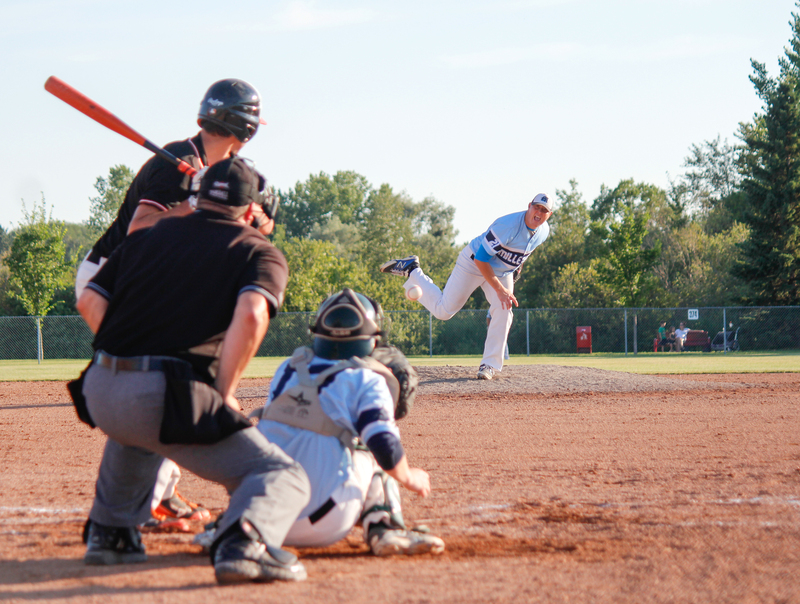 Kevin Pennyfeather/Rep staff Leduc Milleteers pitcher Chad Soucy delivered a fastball to his catcher Les Warner in a home game against the Rosalind Athletics Baseball Team in Fred Johns Park on July 25. The Milleteers fell 15-5 to end their playoff run. Kevin Pennyfeather/Rep staff The Gateway Family Church showcased a live band on their float in the annual Canada Day parade down Leduc’s Main Street. 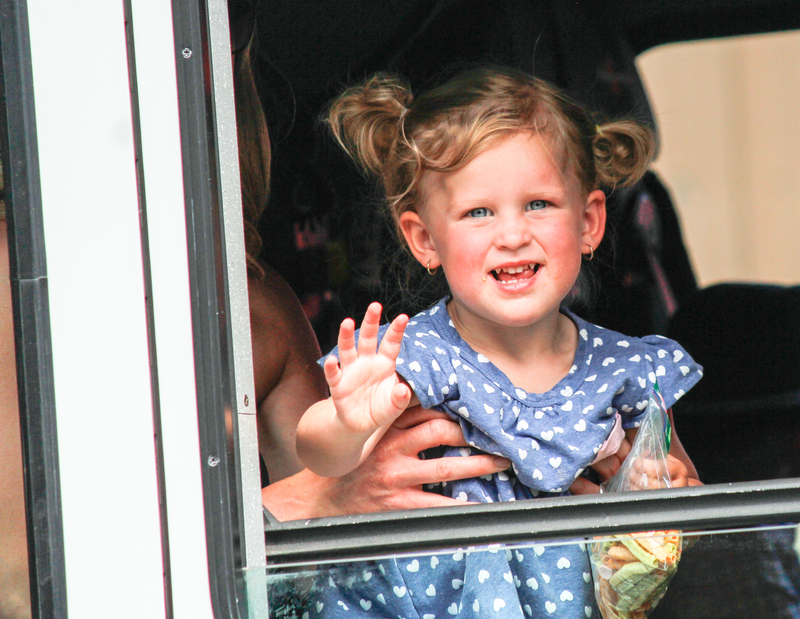 Kevin Pennyfeather/Rep staff Fire fighters drove their trucks down Leduc’s Main Street whie their friends and families tagged along in the annual Canada Day parade. Kevin Pennyfeather/Rep staff Thousands of attendees took in the first annual Leduc Art Walk along Main Street on July 15. 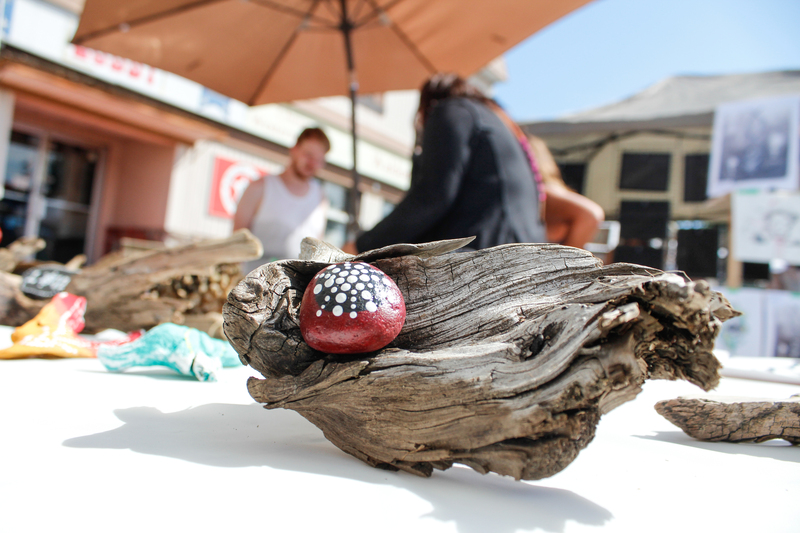 More than 50 artists and performers lined the street to host workshops and sell their creations — like Laura Keller’s driftwood sculptures. 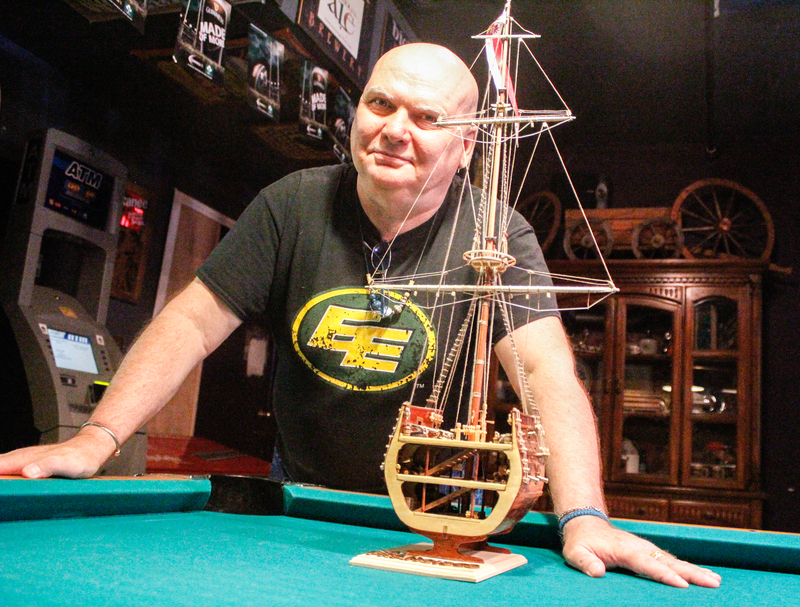 Kevin Pennyfeather/Rep staff Accomplished model ship builder Iain Bret showed off the historical cut-out of the San Francisco in Murphy’s Neighbourhood Pub & Eatery on July 28. On New Year’s Eve, he gifted the model to Joanie Murphy, the pub’s owner, as a symbol of the restaurant’s progressive culture. Bret also gave Murphy a full-length model of the HMS Victory to auction off at an annual golf tournament held by the bar on July 15. This year’s tournament supported the ALS Society of Alberta. 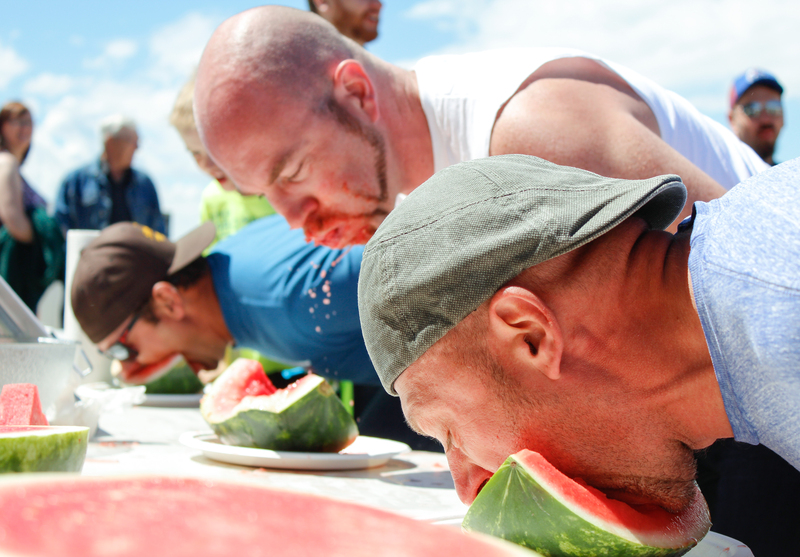 Kevin Pennyfeather Rep Staff (L-r) Finalists Jon Dennis, Jerome Caouette and Sean McGillis competed in the dads-only hands-free watermellon eating contest at the Daystar Church Father’s Day Bash on June 18. 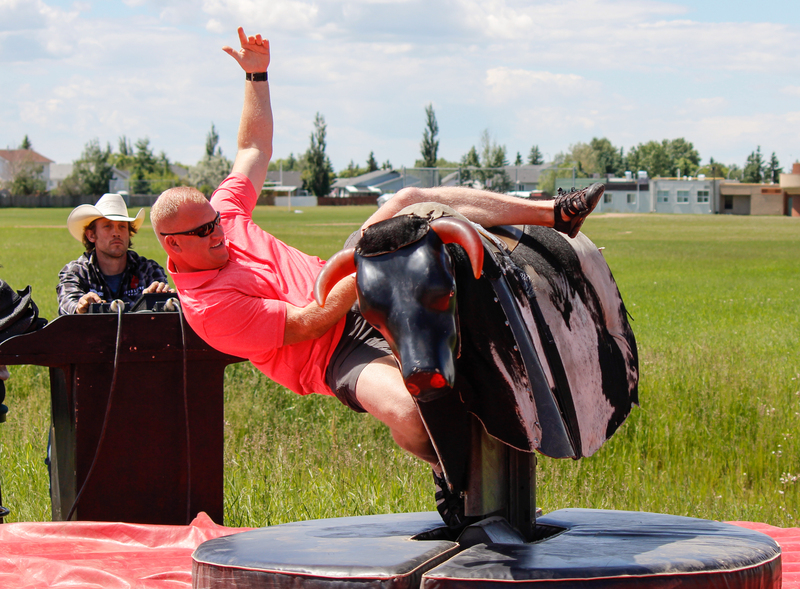 Kevin Pennyfeather Rep Staff Jason Flewell tried his luck wrangling a mechanical bull at the Daystar Church Father’s Day Bash on June 18. 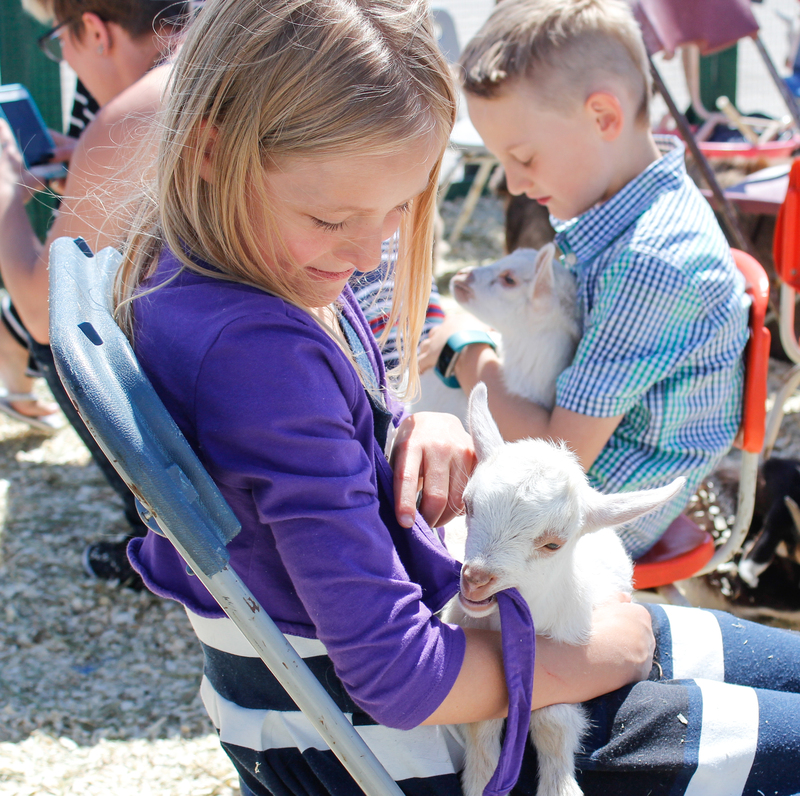 Kevin Pennyfeather Rep Staff A baby goat played with 7-year-old Sarah Siemens’ sweater in John’s popup petting zoo at the Daystar Church Father’s Day Bash on June 18. 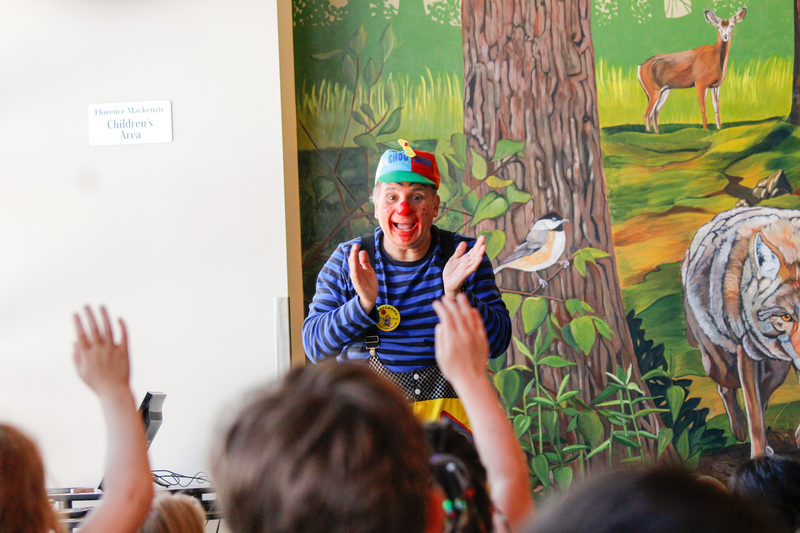 Kevin Pennyfeather/Rep staff Choo Choo the clown performed magic tricks, tied balloon animals, and emphasized the importance of good manners in a children’s show at the Leduc Public Library on July 6. The drop-in event was the first in a weekly series of performances part of the library’s Summer Reading Program. 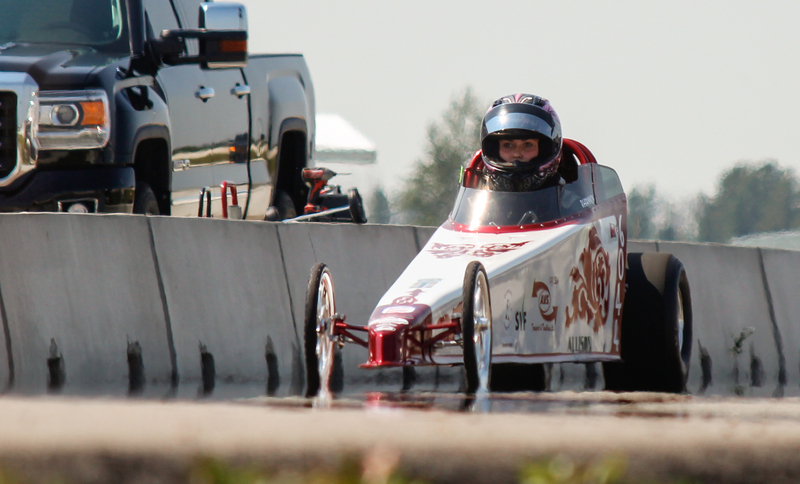 Kevin Pennyfeather/Rep staff Racers from far and wide like 13-year-old Rhiannon Allison stormed the Castrol Raceway for the start of the Rocky Mountain Nationals competition on July 14. 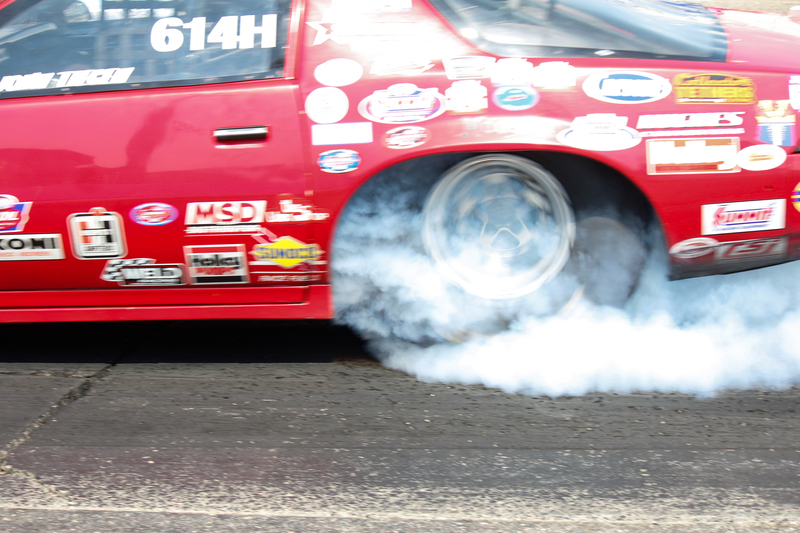 The air was 23C, but the track was a scorching 50C during the prelim testing in the afternoon. Kevin Pennyfeather/Rep staff Racers from far and wide stormed the Castrol Raceway for the start of the Rocky Mountain Nationals competition on July 14. 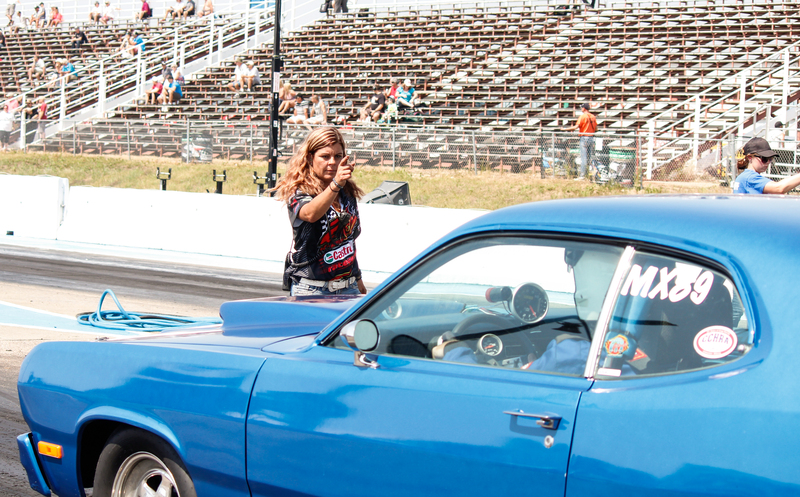 As Dawn Henderson gave drivers the go-sign, the air was 23C and the track was a scorching 50C during the prelim testing in the afternoon. Kevin Pennyfeather/Rep staff Racers from far and wide stormed the Castrol Raceway for the start of the Rocky Mountain Nationals competition on July 14. The air was 23C, but the track was a scorching 50C during the prelim testing in the afternoon. 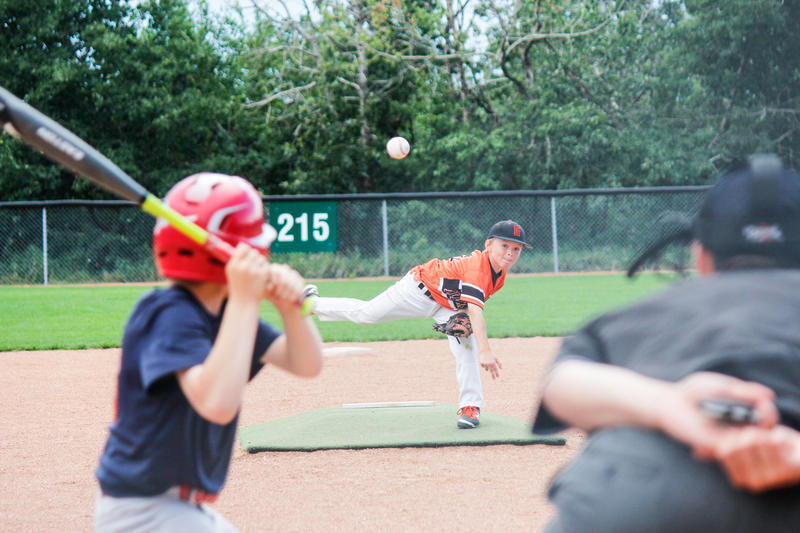 Kevin Pennyfeather/Rep staff Jackson Kruk, 11, pitched yet another strike on the way to victory against the Fort Saskatchewan Red Sox on July 23 in Edmonton’s Tiger Goldstick Park. His team, the Black Gold Giants, are moving up to tier 1 in the Provincials tournament after posting a 13-5 record in their Mosquito AA regular season. Kevin Pennyfeather/Rep Staff More than 90 Fire fighters from across Western Canada converged in Nisku for the the 10th annual Big Rig Hands-on-Training Symposium from June 22-24. 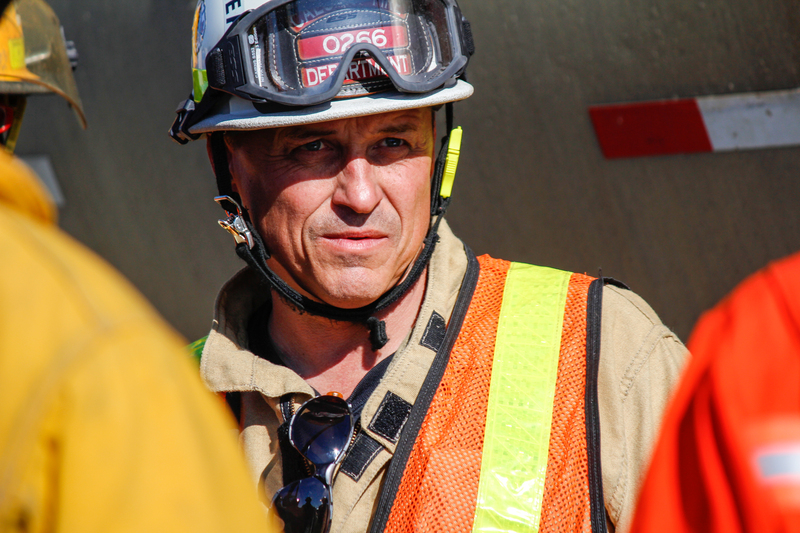 The Leduc County Fire Services and Alberta Vehicle Extrication Association co-hosted event featured one day of classroom training followed by two days of practical work to prepare fire fire fighters to respond to rescue situations involving large trucks. Kevin Pennyfeather/Rep staff The annual Alberta Big Rig Weekend filled a lot next to Blackjacks Roadhouse in Nisku with more than 50 trucks from July 15-16. 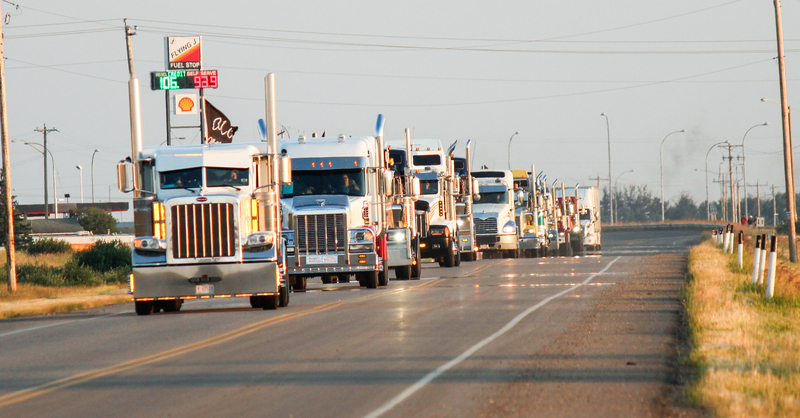 Area truckers came together to take pride in their rides with an after-dusk light show, a highway convoy through the region, a remote controlled truck zone, and social activities for all ages. 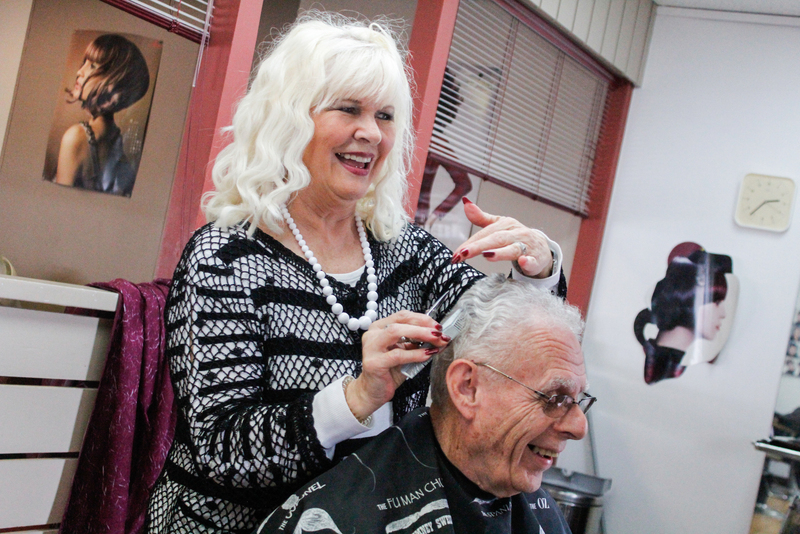 Kevin Pennyfeather/Rep staff George Harrison (right) came to Leduc in 1950, and he’s patronized Hilda Holloway and her Playgirl Hair Salon ever since they’ve been in business. The salon is giving away a free hair cut to patrons who purchase four for themselves or their family this year. 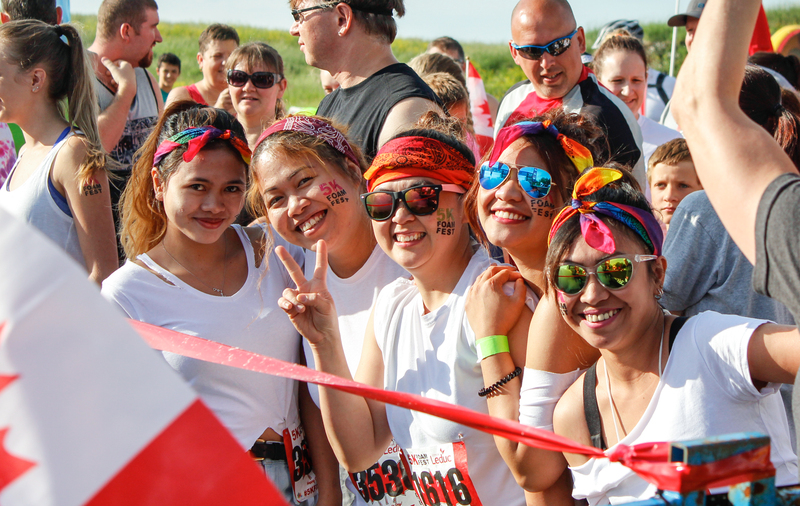 Kevin Pennyfeather/Rep Staff More than 5,000 obstacle course runners took on the 5K Foam Fest at William F. Lede Park on Canada Day. This entry was posted in Blog, Clips and tagged Alberta, ALS Society, Art, Ballet, Basketball Alberta, Beaumont, Clipping, Column, Culture, Devon, DIY, Figure Skating, gaming, Journalism, Leduc, Leduc Rep, Meta, Music, News, Photography, Politics, Print Artwork, Rig Hand Craft Distillery, Sports, Taekwondo, Theatre.